Here in the last generation, a development has taken place which finds an analogy nowhere else. American parties have ceased to be voluntary associations like trade unions or the good government clubs or the churches. They have lost the right freely to determine how candidates shall be nominated and platforms framed, even who shall belong to the party and who shall lead it. The state legislatures have regulated their structure and functions in great detail." In the past a political party was a private organization with a constitution. It's members or their elected representatives could write a party platform. Any political candidates would be required to agree to the platform if they wished to run under the party's ballot name. By requiring, as opposed to allowing political parties to nominate candidates by public primaries, the state eliminates the effective power of party organizations. Political parties technically still exist, but now they have no control over the candidates that run under the parties name! A voter in a primary election is voting for a single candidate not a political party. The fact that they have chosen to run under a specific political label means very little. It's important to remember that one elected politician cannot pass a law! One elected politician cannot even get a bill out of the committee! A modern "party" candidate is just an individual that competes in a single election district. By registering with the state as a member of the party label of their choice - just like any voter who wishes to vote in primary elections (excluding hefty fees & many reporting requirements) - they may choose to run under labels such as Republican, or Democrat, or any other party that has achieved similar ballot status! I would not view them as members of any political party, in either the traditional or international sense. There is no citizens organization, or party leader, that has the power and responsibility for these labeled politicians. In the absense of the traditional dues paying, member based, association of citizens that organize politicians under a party ballot label, politicians are organized by other means. The following two articles from this website provide further information. References for nomination by primary election and it's origins. The Decline of Participatory Democracy and the Emergence of Modern American Politics. By Mark Lawrence Kornbluh (New York and London: New York University Press, 2000. xv plus 243pp. "Desiring to limit even further partisan control over the nomination of candidates, some reformers attempted to replace party conventions altogether with state-run, direct primaries. Although the legislation concerning primary elections varied, more than three-quarters of the states established mandatory direct primaries for all statewide offices by 1917, and many extended this process to local offices as well." This article used to say something like mandatory nominating primaries are not used in Europe unlike the U.S. Now it says essentially the same thing but in a more confusing manner. "In Europe, primaries are not organized by the public administration but by parties themselves. Legislation is mostly silent on primaries." 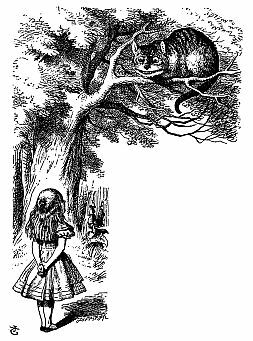 Much like Alice's Cheshire cat in the Disney cartoon Alice in Wonderland, political parties have disappeared - leaving behind nothing but the many similar smiles of very independent, entrepreneur politicians. Modern U.S. attempts at realistic political party platforms. One elected politician cannot pass a law. One elected politician cannot even get a bill out of the committee! Obviously the voters would tend to be very interested in political platforms. Politicians could organize themselves, or be organized by money, or be organized along party lines by the party leadership or any combination of those.